Yet again the Team at Carp Zone have been working hard at getting the best equipment on the market to the consumer at the best price. With a new launch of 2 fantastic bivvies just to wet the appetite. First in the range is the impressive SECTOR. we wont go on about the features as they speak for them selves below. however what we will say is the incredible strength durability and reliably that is associated with Carp Zone is not faltering here. some excellent thought and indeed craftsmanship go into these products and for £139.99 I refuse to believe you will find a better price pointed bivvy. Stay tuned for more details on their new products here on CATCH AND RELEASE. 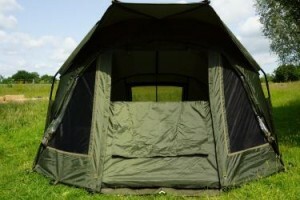 The latest Bivvy from Carp-Zone – The Sector Bivvy is an extremely versatile and roomy Bivvy, with a folding porch that can be used as a full Bivvy system with the front panel zipped in, or as an open fronted shelter for day sessions or quick over nighters. The removable front panel features mosi panels in the windows and door, with clear window and door options. Fitted privacy panels can be rolled and clipped back for added visibility when required. Windows have fixed clear and mosi panels fitted. 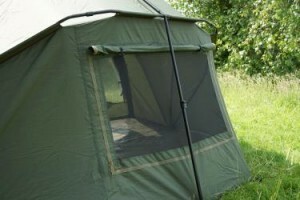 At the rear of the Bivvy is a ventilation panel to allow free flow of air during warmer conditions. The Sector is quick and easy to erect, and comes complete with fully adjustable in-line tension bars for extra rigidity. 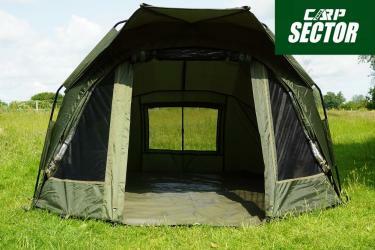 Supplied with a heavy duty clip in Groundsheet, the Bivvy is fully taped seamed with bar stitching at stress points. An excellent all year round bivvy. 5000mm Hydrostatic Head Waterproof material. Removable Zip in Front Panel. Rear Ventilation Panel.Heavy Duty Clip-in Groundsheet. 6061 16mm Powder Coated Aluminium Frame. In-Line Adjustable Aluminium Tension Bars. Full Set T-Bivvy Pegs included. W = 260cm x D = 240cm x H= 145cm.